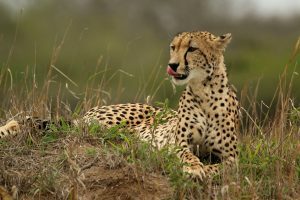 LONDON (Reuters) – The world’s fastest land animal, the cheetah, is in danger of extinction because it is running out of space, research led by the Zoological Society of London (ZSL) has found. Unless you live in sub-Saharan Africa where nearly all wild lions live, it’s likely that all you have seen of the majestic “King of the Jungle” has been through a screen. And of that footage, a great deal of it has likely been lions defending their territory, fighting other animals to the death, or patrolling their land. While these activities do make up a large part of a wild lion’s life, these animals are also incredibly close to their families. 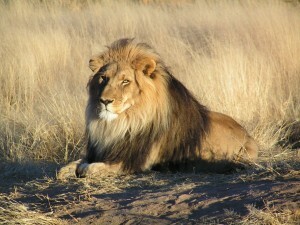 In the wild, African lions live in groups of around fifteen individuals. 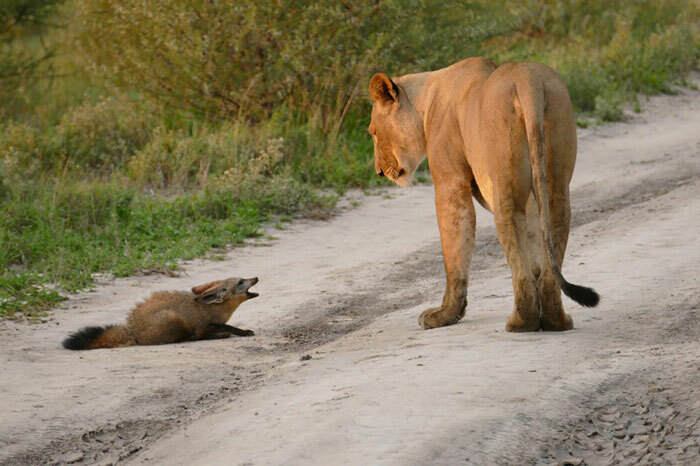 Babies are typically raised by the entire pride but the bond between mother and cub or father and cub is undoubtedly the strongest. Check the full article (and video) at One Green Planet! Genetic research on the world’s tallest land animal has found that there are four distinct species of giraffe, not just one as long believed, with two of them at alarmingly low population levels. Scientists on Thursday unveiled a comprehensive genetic analysis of giraffes using DNA from 190 of the towering herbivores from across their range in Africa. 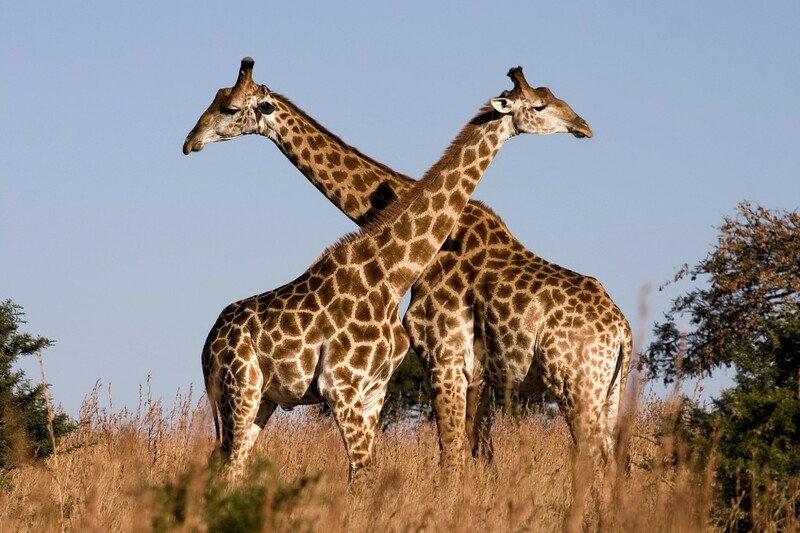 The genetic data showed that four separate species of giraffes that do not interbreed in the wild inhabit various parts of the continent. View all the slides at FuzzFix! When Synody Mulibehzi woke up June 27, 2012, he had two good arms. By nightfall, he would have just one. Back then, Mulibehzi and his brother were employed on an anti-poaching team on a conservancy in Zambia, according to accounts made to photographer Benjamin Rutherford. Such teams are employed on game reserves, conservancies and farms, to protect animals from being poached and sold as bushmeat. On that day, Mulibehzi and seven others responded to a report of an early morning gunshot on the conservancy that he regularly patrolled. 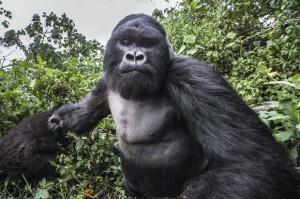 Armed only with a big stick, Mulibehzi charged headlong into the thick bush. 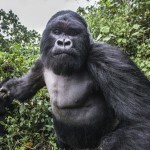 Last Thursday, on June 23, the provincial governor of South Kivu formally approved the boundaries of the Itombwe Reserve in eastern Democratic Republic of Congo, one of the last strongholds of the Grauer’s gorilla. 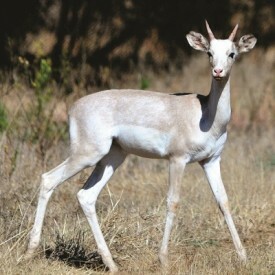 Conservationists have cheered this move. 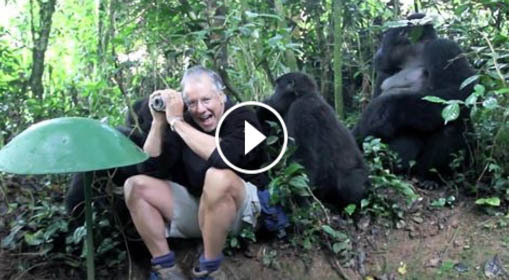 An incredible chance encounter with a troop of wild Mountain Gorillas in Uganda. Read the Full Article at Time.com! A 17-year-old gorilla was shot dead Saturday by a Cincinnati Zoo employee who feared the animal would harm a child who had climbed into its enclosure, according to officials. The 4-year-old boy climbed under a railing and through wires and fell about 10 feet into the enclosure at about 4 p.m., said Cincinnati Zoo director Thayne Maynard. Read the full article at NBC News!